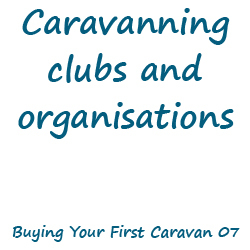 It’s post number 7 in the 10 part “Buying Your First Caravan” series and today I’m going to be talking about the various different clubs and organisations for caravanners. Who are the clubs and organisations? There are many other clubs and organisations for caravanners but I don’t want to bombard you with any more. What do the clubs and organisations do? While the big clubs give you all the benefits above, the smaller owner’s clubs are more socially driven and allow you to meet people with the same make of caravan as you and attend their rallies. The final one to mention is the NCC as they are slightly different to all of the others on the list. As I summarized above, The NCC is a trade body representing the combined interests of the tourer, motorhome, holiday and park home sectors. It was set up nearly 70 years ago in 1939 but has really come into its own in the last couple of decades. Most of the larger manufacturers of leisure vehicles sit on the council and decide what rules and regulations will be implemented to make caravanning safer and more enjoyable. The NCC is also ensure that the industry delivers high quality products and treats its customers fairly. The NCC now run the two big caravan and motorhome shows that take place in February and October each year. By attending these shows you are able to catch a glimpse of next year’s designs and innovations and place your order for collection the following year. Consumers cannot join The NCC, but simply knowing of their existence is certainly worthwhile. Should you join any of them? Most people you meet who own a caravan probably belong to a caravanning club or organisation of some description, this is down to the benefits that come to being a member as we have discussed above. More often than not, most club memberships will save you their joining and membership fees each year in the form of other purchases. 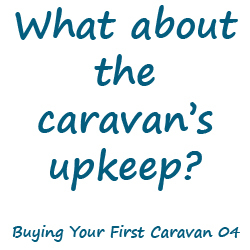 If you are reading this then I am going to assume you are new to caravanning which is why I would recommend you start by at least joining The Caravan Club. 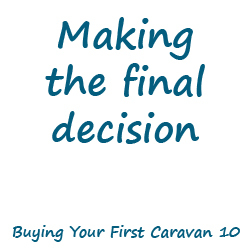 In your early stages of owning a caravan you will certainly be grateful of all the advice and resources that are available to you as a member. You will also receive a monthly magazine and a book of Caravan Club Sites which is extremely handy. To find out more about joining The Caravan Club click here. So just to recap on what we have covered in today’s post; we spoke about all of the different types of caravanning clubs and organisations, what benefits you can get from being a member of a club or organisations and finally whether you should join any of them or not. I hope this information will help you in your mission to start or continue to happily travel in your caravan! 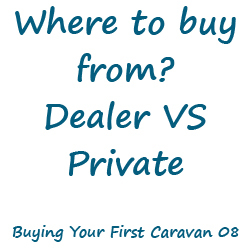 Tomorrow’s post is number 8 in the 10 part series of “Buying Your First Caravan” where I will be talking about where to purchase a caravan from and the differences between buying from a dealer or buying privately. Until then, have a pleasant day!